Enjoy a pleasant and relaxing stay in one of our lovely hotel rooms. For the culinary tasting during your stay, our excellent restaurant will provide you with everything you need for a perfect stay. Please note that we can also put together packages that will make planning your stay even easier. "Asterisk asterisk, you have to walk ..."
... or just let your eyes wander over the Mosel. Our cozy and covered terrace provides an ideal, protected place in the sun. 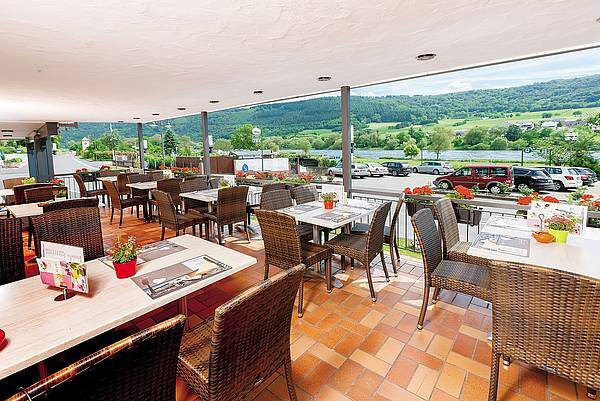 Here you can also enjoy your meal or let the evening end with a glass of Moselle wine. 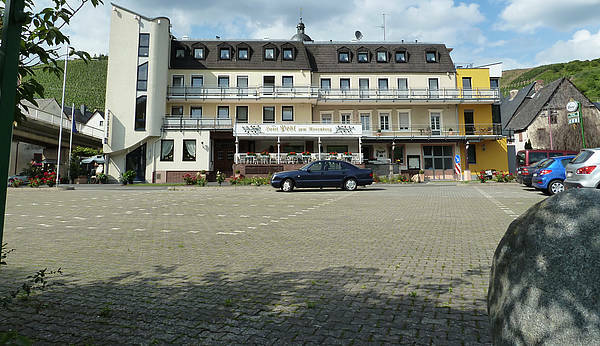 Of course there is a large parking lot right in front of the hotel, which is exclusively reserved for all our guests. It is accessible day and night. Bikes can be stored safely and for free in a garage. On request it is also possible for motorcycles. Free use of swimming pool for hotel guests. 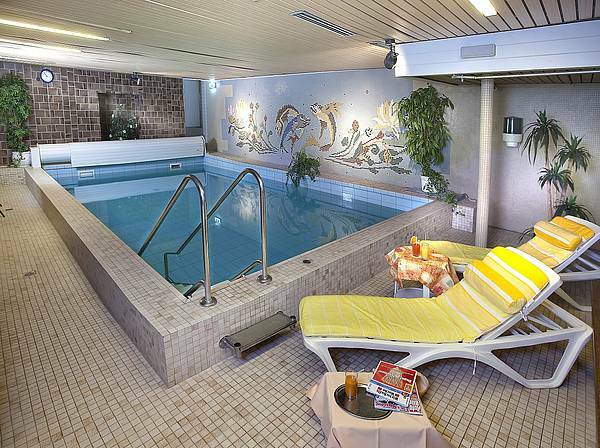 Arnold Binzen offers swimming courses for children or adults. If you are interested please make an appointment with him.